With This Ring… | hdhd!! 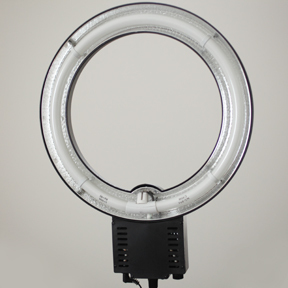 Recently, I came across two interesting products while at Foto Care (41 West 22nd Street, New York, NY 10010) that caught my eye: The 12 inch and the 18 inch Daylight-balanced fluorescent Ring Lights from Stellar Lighting Systems. « The Imaging Business: Cameras, Cameras Everywhere! !